“If you don’t give us a 9 or 10 on the survey you receive it will mean we have failed”. On the surface it was an odd way to end my check out process at a well known hotel chain but one I suspect that many of us have experienced. It’s called score begging and it’s an indication of poorly set front-line customer satisfaction targets. One of the critical success factors for NPS or customer feedback success is ensuring that everyone in the organisation has the score in their personal goals. But applying that idea to front line staff is difficult and if done poorly, as you can see, it drives the wrong behaviours. To me it is clear that you must link NPS/CSAT to performance review outcomes at least as strongly as you link other hard metrics: revenue, average handle time (AHT), etc. If you don’t staff, quite rightly, deduce that NPS is nice but what you really care about is AHT and sales at all costs. Not having a strong CSAT/NPS goal is at the heart of many issues in the customer experience. If you’ve ever been relentlessly handed off between operators in a contact centre you have felt the effects. You know they have a tight AHT goal and it’s more important to keep their personal AHT down by shuffling you to another operator than to solve your problem. On the other hand, there is good evidence that NPS and, for instance, sales performance are quite well linked. This chart indicates quite a strong correlation between NPS and good sales performance. It also helps to identify those sales staff who are push-selling and need to be coached to change their approach. While we might want to give everyone in the organisation a CSAT or NPS target in practice it can be difficult. When you link feedback to a specific person you need to ensure that their supervisor will use that data in a constructive not destructive manner. Which approach they take will depend heavily on your organisation’s culture, their training, and how those supervisors are treated in turn. As soon as you start paying for NPS, people will try to game the system. 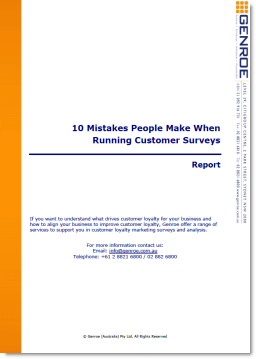 They might tell the customers that if they don’t get a “9 or 10” it means that they have failed, they might “miss enter” the customer’s email address so they never get the survey, if they have had a bad interaction. It comes in many flavours but all of them affect your data accuracy. If you include the score in performance reviews you need to give people both the ability to impact on the score. It’s no good, for instance, giving a front line person a companywide NPS as a goal. This will only disempower them because they cannot see how they can change the score. If you can’t change it, why bother about it. If you are using a transactional feedback process you may have too few responses to be able to say with confidence that the score exceeds or doesn’t exceed the benchmark. The Net Promoter Statistics are even more complex and variable so additional care is needed in that case. In reality even 10 responses per month is too few to put a hard metric against it. The confidence internal is just too large with so few responses. Really you should start to look at 50 or 100 responses to make a considered interpretation. That means that you may need to average over a period (rolling 12 months perhaps) to be a valid measure. In order to goal front line staff on a CSAT score or NPS you also need to educate them on what drives that score. This must come from the company’s analysis of all the responses to understand what is important to customers and what is not. My favourite example of this comes from the field of software support. Often support staff feel they are being very customer focused and responsive by fixing technical problems in just a few minutes. The trouble is that just as often they don’t bother to tell the customer that the issue has been fixed. From the customer’s perspective the problem has not been solved until they are informed about what happened and why. Support staff need to be educated that customers don’t just care about fixing the issue but also about being informed of what went wrong and why. In a recent exchange on this topic with Andrew Richmond, he suggested that the Quality Assurance (QA) process can be used to check that front line staff are performing all of the actions that lead to high CSAT scores or NPS. Quite rightly he worries that small volumes of response per person make the score quite variable. His solution is to track the scores at the team leader level instead. This has added benefits that the team leaders will become more involved with the front line, identify what is driving NPS and spend more time coaching. He is also concerned that if front line staff is not educated in what drives NPS, the risk then becomes that NPS is devalued because it does not track with the QA score and staff do not believe the NPS outcomes. The list of QA elements to be monitored grows ever larger and more expensive to check. To be assessed objectively the list becomes increasingly proscriptive, reducing staff ability to focus on the customer. It seems better to me to educate staff in what is actually important to customers and coach them in how to deliver those key elements based on live calls and the qualitative comments in the customer survey. As an alternative to the QA focused approach it seems that all of the issues noted above can be solved, or mostly solved, and that giving front line staff an NPS target is the right approach. While the company culture is a major driver of this outcome it can be managed by providing the team leaders with education in how to use the data in a constructive manner. This is explored more in this post on transparency in the Net Promoter process. All staff need to have confidence in the data collection system. Confidence that it is accurate and confidence that there is no gaming of the scores by unscrupulous individuals. To cover those areas you need to ensure that the data collection system is reasonably robust against manipulation. For instance, remove the ability for the front line person to covertly remove someone from the survey queue. Ensuring line of sight in the selection of metrics is not difficult. You simply need to exclude metrics where the person has little or no ability to impact the score. For instance provide them with team and or personal score objectives but not companywide objectives. Understand the variability: use the right statistics to understand what is happening to the underlying score. Don’t act on every one point change if it’s not warranted. Of all the issues this should be the easiest to solve because the entire point of running a CSAT or NPS process is to understand the underlying drivers of customer loyalty and make changes to them. However, often organisations do not have a good understanding of these drivers so it is difficult to educate staff in what they are. The best, only, solution is good root cause analysis of the customer feedback and organisation’s data. If your frontline staff don’t have NPS goals think about how you change that situation. Start simply and just give them 90 day rolling scores. You don’t even need to link bonus payments to it, just start keeping scores while you work through all areas of the system.